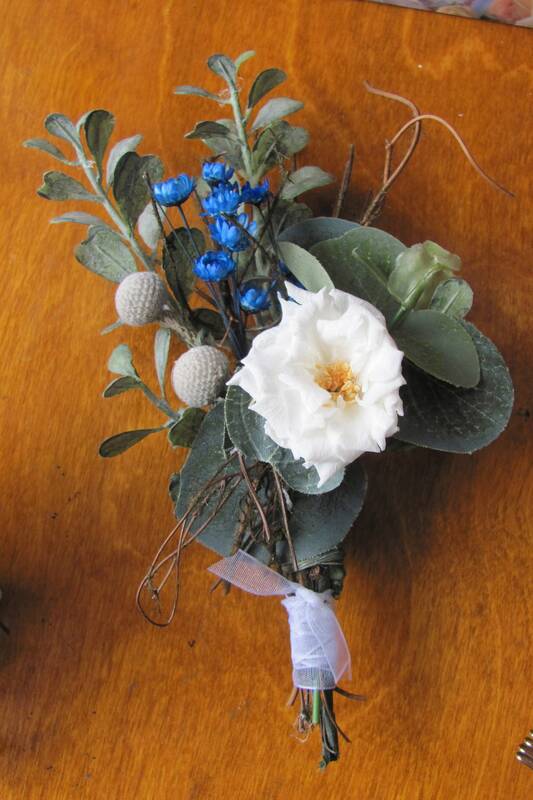 Boutonniere with a Boho or woodland style. Ideal for weddings and proms. 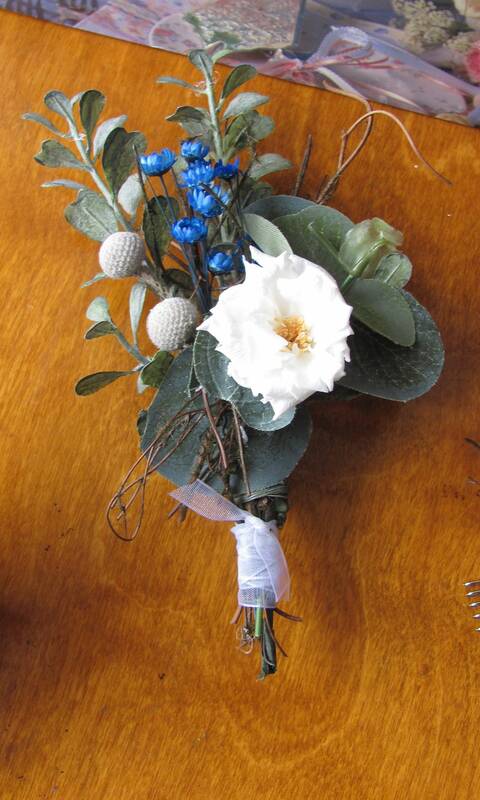 This lapel flower boutonniere/corsage has been created with faux eucalyptus, faux blue green boxwood, twigs, a preserved ivory/white rose, silver Brunia and blue star flowers. The base has white chiffon ribbon wrapped around it. Ideal for father of the bride and groom, groom, groomsmen, and prom guys. This floral piece measures approximately 6.75 inches long and 3.5 inches at its widest point.